Botox Cosmetic (onabotulinumtoxinA) is a prescription medicine that is injected into muscles and used to improve the look of moderate to severe frown lines between the eyebrows (glabellar lines) in people 18 to 65 years of age for a short period of time (temporary). 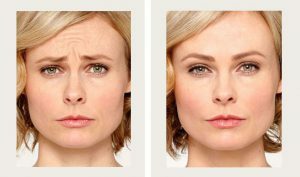 Millions of women already know BOTOX® Cosmetic - a nonsurgical treatment that helps temporarily improve moderate to severe frown lines between the brows. 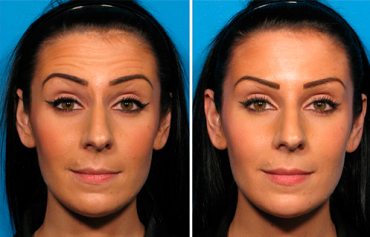 Those moderate to severe vertical lines between the brows are sometimes referred to as 1’s, 11’s, or 111’s. 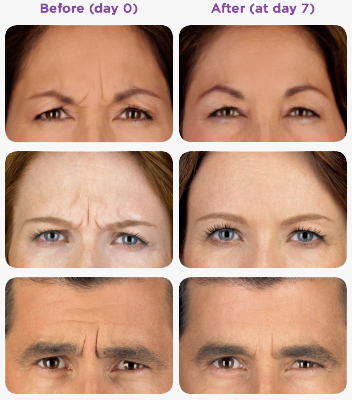 Years of squinting, concentrating, or frowning can cause your skin to furrow and crease. As time passes, your skin becomes less elastic and those moderate to severe frown lines remain—even when your muscles aren’t contracting. With BOTOX® Cosmetic, you can get real, noticeable results and still look like yourself. 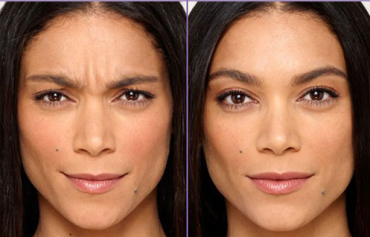 So, you can still frown or look surprised, but without the wrinkles and creases between your brows. "I think it’s important to take things like product history and results into consideration. 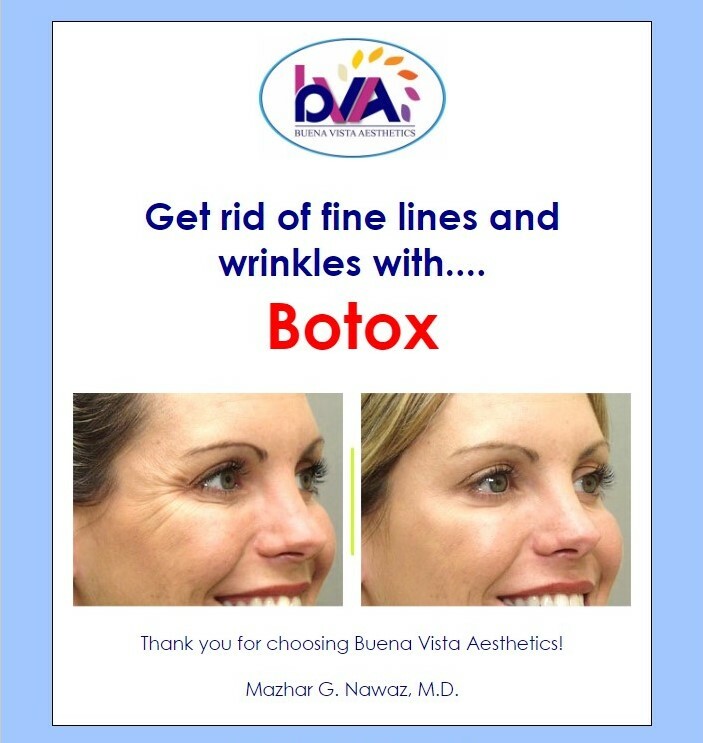 I feel good about BOTOX® Cosmetic because I know there have been millions of procedures." Botulinum toxins are biologics, a type of purified protein. Since biologics are made from living things, they are unique. So, even if a botulinum toxin product has the same ingredients as another, they may not have the same effect. Because biologics have a complex structure, it is difficult to recreate a product without knowing exactly how it’s made (which is specific to each manufacturer). That’s why the amount of the dose (Unit dosing) and formulations are different between products. 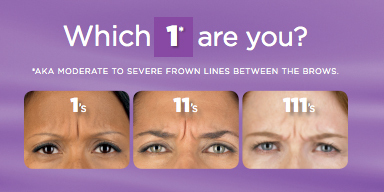 Be sure to ask your healthcare professional if BOTOX® Cosmetic is right for you. No Surgery. No Recovery Time. BOTOX® Cosmetic treatment is a quick, 10-minute procedure that requires no downtime or recovery - it’s often called a lunchtime procedure. 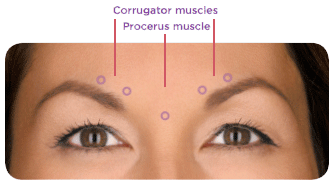 With a few tiny injections, BOTOX® Cosmetic blocks nerve impulses to the muscles in your forehead - called the “corrugator” and “procerus” muscles - reducing their movement. This decreased muscle activity helps lessen the appearance of moderate to severe frown lines between the brows for real, noticeable results. Only you know when you’re ready to ask about BOTOX® Cosmetic. Take some time to read through the questions below and do your own research. And then talk to your healthcare professional to determine whether BOTOX® Cosmetic is right for you. 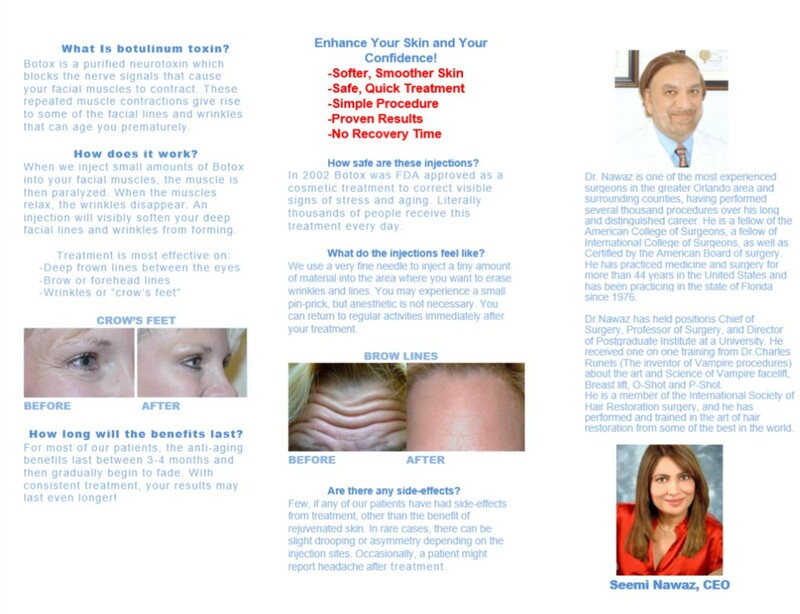 Only your healthcare professional can determine whether Botox Cosmetic is right for you. However, you should not use Botox Cosmetic if you are allergic to any of the ingredients in Botox Cosmetic, had an allergic reaction to any other botulinum toxin product (Myobloc [rimabotulinumtoxinB], Dysport [abobotulinumtoxinA], or Xeomin [incobotulinumtoxinA] or have a skin infection at the planned injection site. 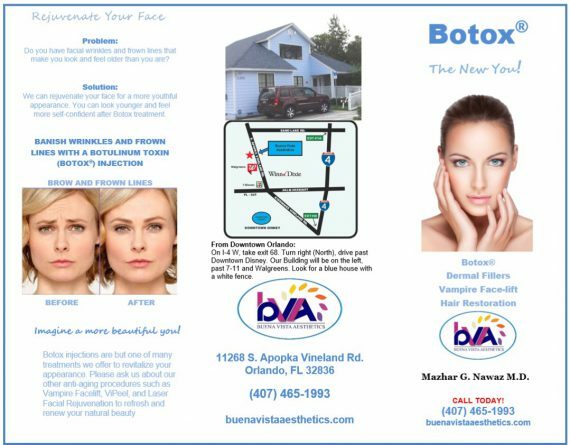 What do I need to know about Botox Cosmetic? 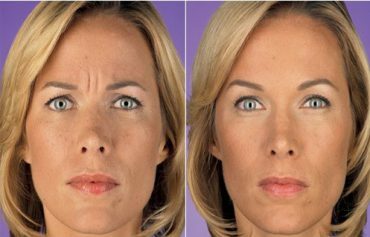 BOTOX® Cosmetic may cause serious side effects that can be life threatening. 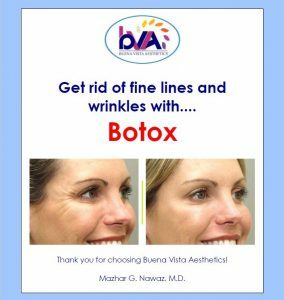 Call your doctor or get medical help right away if you have problems swallowing, speaking, or breathing, or if you notice spread of toxin effects any time (hours to weeks) after injection of BOTOX® Cosmetic. If this happens, do not drive a car, operate machinery, or do other dangerous activities. 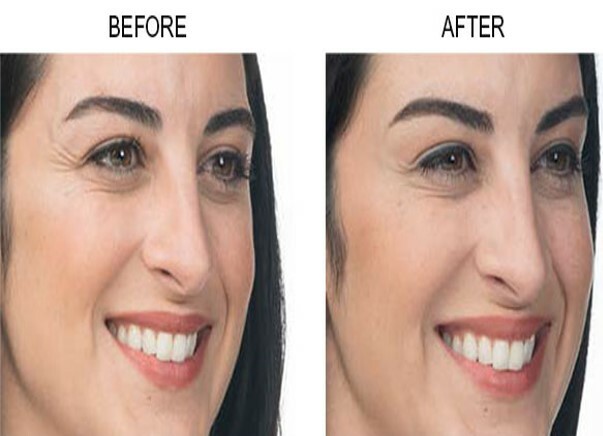 BOTOX® Cosmetic starts to work within 24 to 48 hours. In clinical trials, a majority of people saw significant improvement at 7 days, with results continuing to improve for up to a month. What does my healthcare professional need to know before my BOTOX® Cosmetic treatment? Serious and/or immediate allergic reactions have been reported. Possible side effects include itching, rash, red itchy welts, wheezing, asthma symptoms, or dizziness or feeling faint. Tell your doctor or get medical help right away if you are wheezing or have asthma symptoms, or if you become dizzy or faint. Other side effects of BOTOX® Cosmetic may occur, including dry mouth, discomfort or pain at the injection site, tiredness, headache, neck pain, and eye problems, such as double vision, blurred vision, decreased eyesight, drooping eyelids, swelling of your eyelids, and dry eyes.